These spring-loaded, twist-locking poles are made of high-quality anodized aluminum. They’re more rugged than our 10ft poles and have a smoother action. 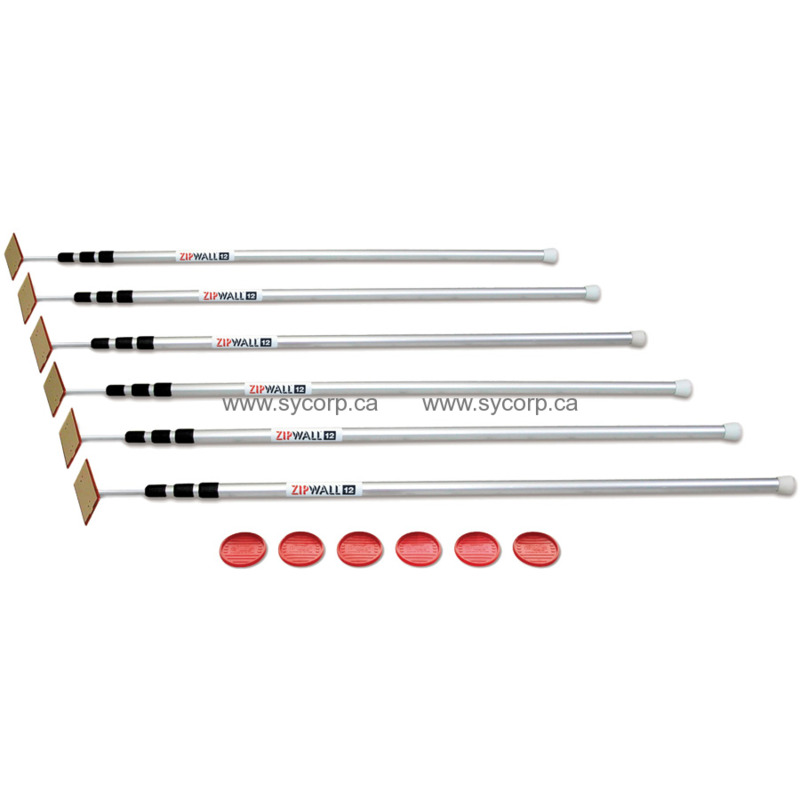 These poles are perfect for the contractor who is frequently setting up barriers. Great for commercial and residential construction and remodeling projects. The 6-Pack can create a dust barrier up to 50ft long or you can build a three-sided barrier creating a room within a room. It’s ideal for getting started with the ZipWall® Dust Barrier System or adding to your existing system. SLP™ 6-Pack contains six 12ft aluminum, spring-loaded poles with parts (heads, plates, and Gripdisk™ non-slip pads). Plastic sheeting is not included. Each pole weighs just 2 lbs. Dimensions: 59" x 4.5" x 3.75"